It is under 100 days until the 2019 FIFA Women’s World Cup kicks off in France. The U.S. Women’s National Team will be defending their title from four years ago, our nation’s third World Cup championship. This year they will be doing it in a uniform that pays homage to the squad that won the second title 20 years ago. The new designs have been almost universally praised by fans who are sure to be buying them in huge numbers to support the team this summer. Yet, even though hundreds of thousands of these shirts will be sold to men, women, and children all across the country and world, Nike, the designer for U.S. Soccer’s uniforms since 1997, knows that their actual customer is just 23 women. We talk to clients all the time about finding ways to better know who their customers are. Knowing your customer and understanding their needs are key tenets of our methodology for customer experience planning, and here on the website we’ve shown many ways in which it is important - for attorneys, for fast casual restaurants, and when using data analytics. Fast Company has a great article outlining how Nike truly understands that their real customer is the athlete. Cassie Looker, senior product line manager for the global football division, led the Nike teams that designed the uniforms for the U.S. and thirteen other countries Nike works with. She gives great insight into how they get deep knowledge of the teams they aim to represent in their designs. For the U.S. this year, paying homage to their heroes became a big aspect of the design. “The 99ers,” as the U.S. women who won the tournament in 1999 are known, were inspirations to the players currently on the roster, who grew up idolizing players who became household names, like Mia Hamm. But beyond just ensuring that the uniforms look good, Nike is cognizant of another aspect of the experience for their customer that is much more important. These world-class athletes are competing in the most important matches of their lives. Their kits also have to perform. To that end, Nike turned to data. Using advanced facilities at their headquarters in Oregon, they brought players to a body-mapping lab for scans. The data allowed them to better understand how women’s bodies move while playing soccer and how those bodies and motions differ from other types of elite athletes. 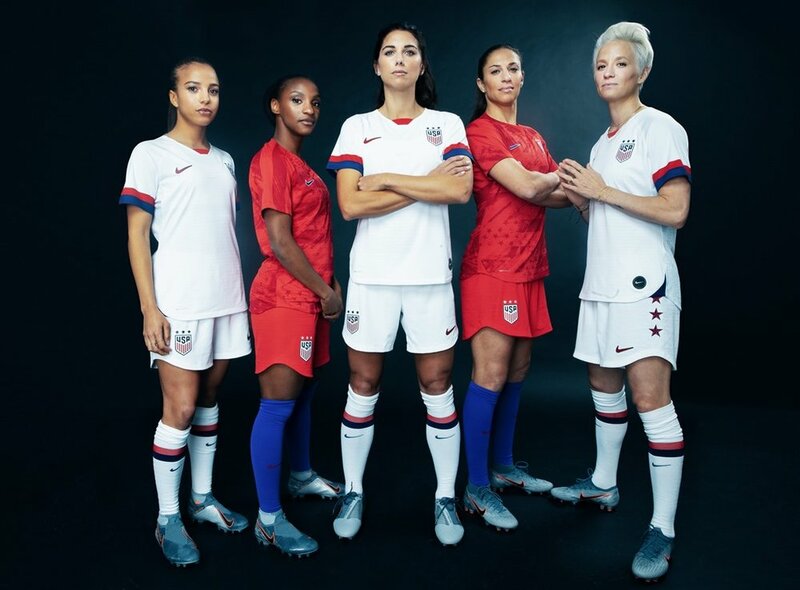 So even though almost every single one of these uniforms will be purchased by fans, Nike has put their attention on the smallest, but most critical segment of customers: the 23 women who will be representing all of us this summer in France.